Last weekend I headed down to London for LC:M for the first time with work (you can read all of my reports from the shows I went to on the Coggles website). I've never been to men's before so it was great to get a taste of it, see some great menswear (and see what style tips I could steal for myself!) and see how it compared to LFW (way more chilled and lots of well-dressed men). This is one of the outfits I wore when I was there. 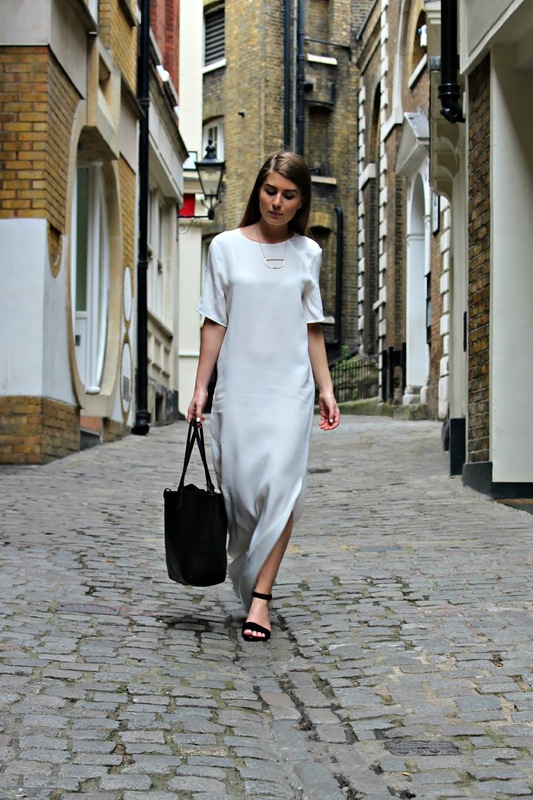 I wanted an easy, minimalist look that still made an impact, so went for this maxi dress from Finery that's made from a really lightweight, slinky fabric. I paired it with my new Clarks sandals from Spartoo; with a short block heel, they were perfect for adding a little bit of height but comfortable enough for walking around the city all day in. 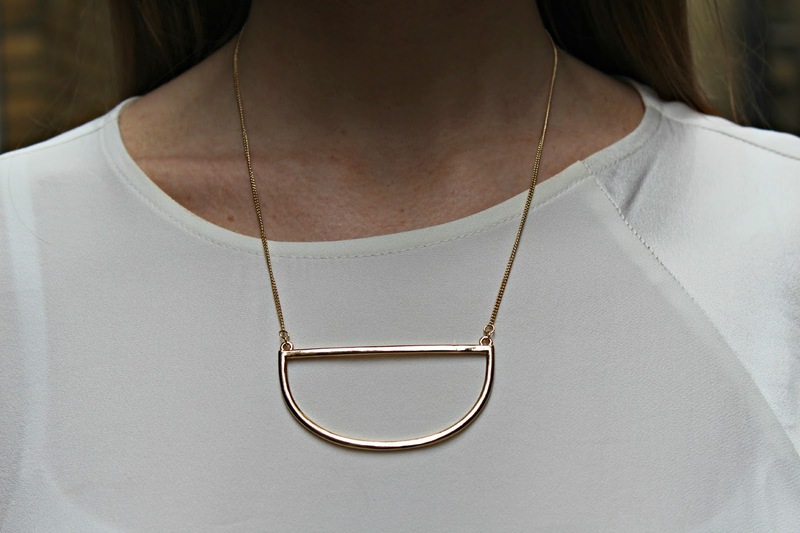 A simple piece of jewellery finished the look - I'm really loving thin, delicate gold pieces at the moment, so this necklace from ASOS is perfect. Thanks so much Abbie - the simpler the better in my book! 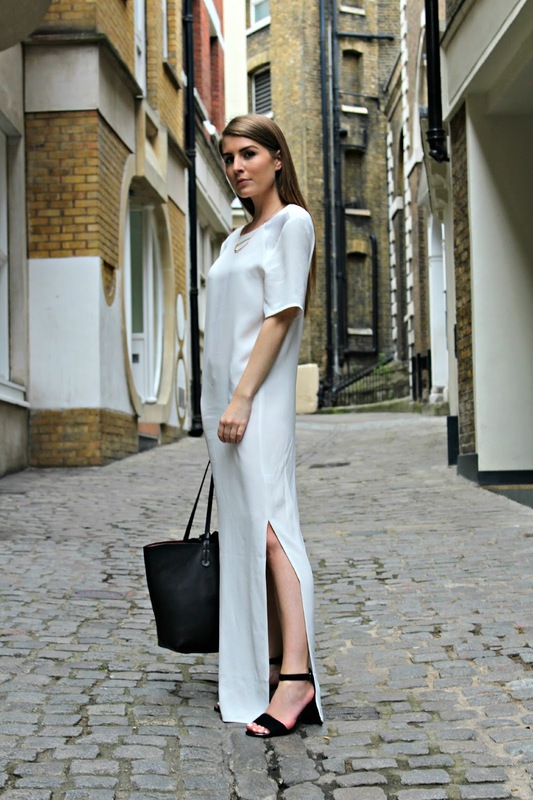 Great minimalistic look - rocked it well girl! Love the dress. It's a simple, but stunning outfit. Thanks Rubi, best to keep it simple sometimes!